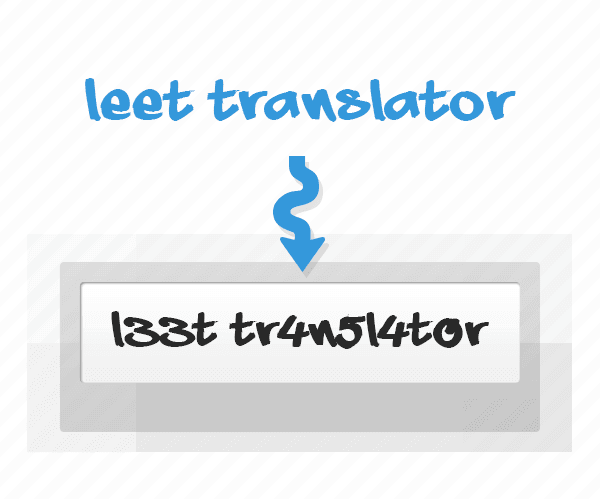 With Leet translator you can transform simple text into 1337 text. In Leet translator Latin letters are replaced with various combinations of ASCII characters. You can also use it to transform your nickname into a better looking one. Just simply enter or paste your text into the input box and choose a style from below. Click on result box to copy the translated text. The 1337 translator is completely FREE to use. However if you like it, don't forget to hit one of the LIKE buttons on the top of this page. Thank you!